How to draw Manga mood disappointment. 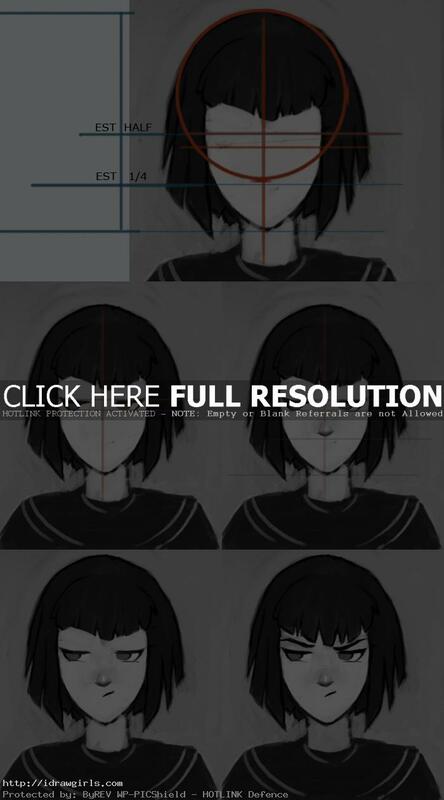 Learn to draw Manga mood or facial expression from step by step tutorial. In this tutorial, we will show you how to draw a simple facial expression of disappointment. It is a very common mood use in Manga character and could also be describe as unhappy, dissatisfy, failure, defeat, frustration. Disappointment is the feeling of dissatisfaction that follows the failure of expectations or hopes to manifest. Here is a Manga facial expression of disappointment. 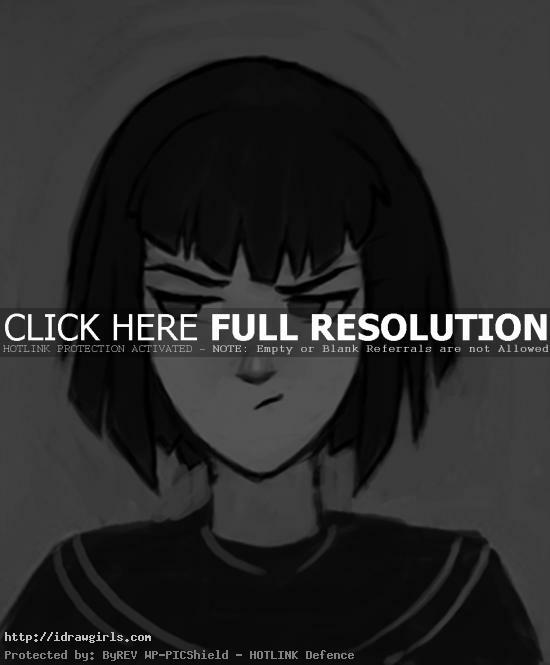 Below are step by step images how to draw Manga mood disappointment. Step one, follow the instruction by drawing the geometry shape as shown in the first image below. Step two, I draw both eyes inside the paralleled horizontal lines. The gap between those eyes should equal one eye’s width. Step three, I draw in a nose. The tip (bottom) of the nose should be at the half distant between the eyes and the bottom of the chin. Step four, I add one unhappy mouth.